One of the most frequently asked questions when a patient is considering a cosmetic procedure is what you can expect and how you will look. 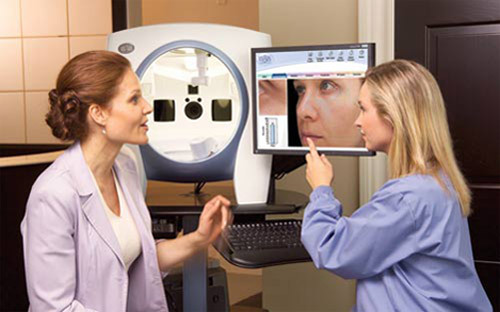 Now we able to help visualize your end results before you have the procedure with the state-of-the-art Vectra 3D Imaging technology. With the Vectra 3D, we can simulate the exciting possibilities of your anticipated aesthetic procedure. The system is truly amazing! It creates a three dimensional model of you, and then another 3D model with your anticipated results. While viewing your results with the Vectra 3D, we are able to modify your model immediately and continue to make changes until we achieve the look of your desired outcome, allowing us to determine if your expectations are realistic. The following images are of actual patients who underwent 3D modeling at The Breslow Center. 3D renderings can be created for minimally invasive and surgical cosmetic procedures alike. Take the guess work out of your plastic surgery procedure: call The Breslow Center in Paramus, New Jersey to make an appointment for your complimentary consultation, during which you will undergo an in-depth Vectra 3D imaging analysis!